A former princely residence to the Hohenzollern, Villa Principe Leopoldo reigns majestically over Lugano. The Hohenzollern were an eminent German noble family which ruled over Prussia from 1701 and all of Germany as Kaiser after 1871. 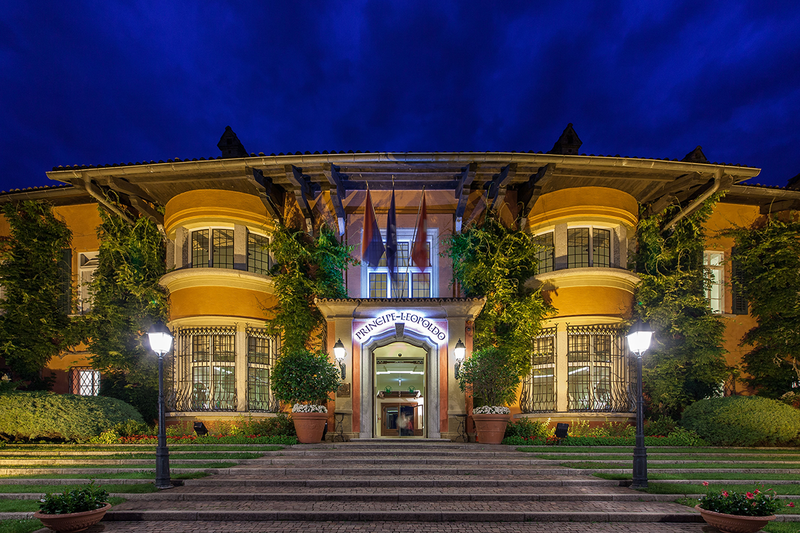 In 1926, the cavalry general Friederich Leopold, commissioned a summer residence Villa Principe Leopoldo. 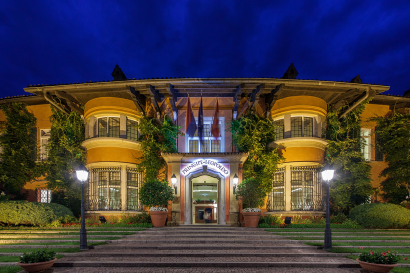 The villa was witness to world changing history as it served as the family residence. Illustrious figures from the illustrious noble European families sojourned at the villa until Leopold’s death in 1931. After the villa changed hands two times, it was established as a club. In 1986, it was definitively turned into a hotel. Villa Principe Leopoldo, with its postmodern architectural style, stands tall on top of Lugano’s Collina d’Oro (golden hill). The villa is formed like a natural arena. The mountains form a circular stage with their reflection in the blue of the lake and the sparkling lights of the banks of the city of Lugano. 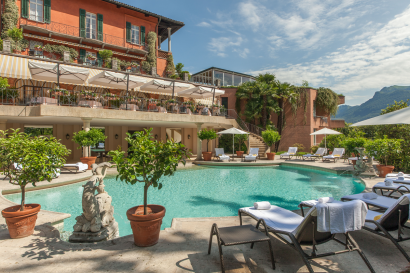 In the years following the hotel’s opening in 1986, world renowned celebrities returned. Opera singers, actors and famous American singers were frequent guests. The long guest list was completed with members of royal families and important leaders from finance, politics and industry. 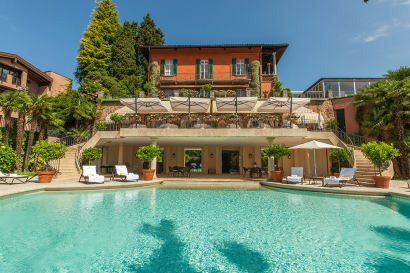 The same is true today as important stars and sports personalities frequent the villa during their stays in and around Lugano. 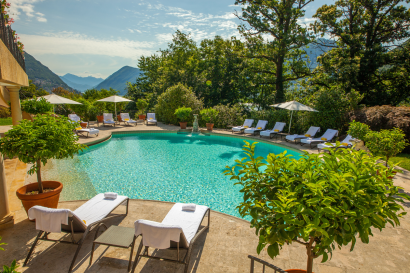 Their appreciation is double fold because of Villa Principe Leopoldo’s discreet attention to privacy. 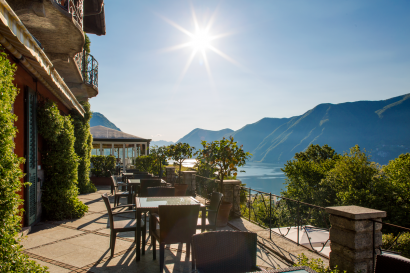 Unique terrace overlooking Lugano’s Gulf; – excellence of the gastronomic offer. Close to the city center but in a very quiet and residential high-end area. 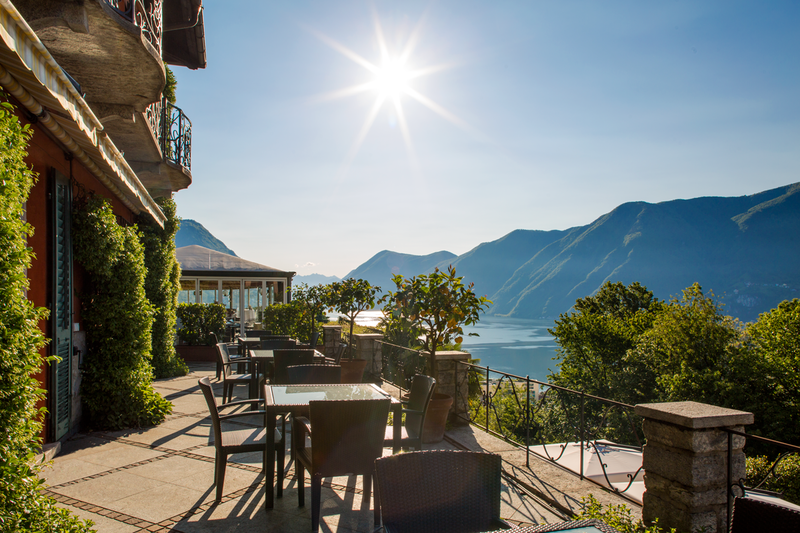 “Collina d’Oro”, exclusive residential area of Lugano’s surroundings. • UNESCO site: the castle in Bellinzona. 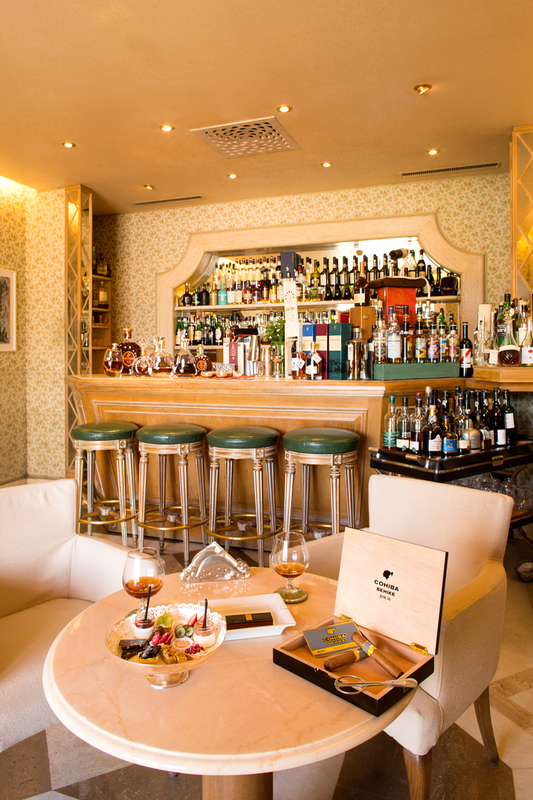 • Unique Selection in the Wine Cellar of “unavailable” renowned wines and spirits (Cognacs, Armagnacs, Single Malts). Kids play area in the garden close to the Villa. • 7 x Deluxe Junior Suites: These double bedrooms overlook the gardens. Located on the two floors below the Villa’s main terrace, these bedrooms have a surface of about 45 sq meters (about 485 sqft). Large bathroom with tub and shower. • 26 x Deluxe One Bedroom Suite: Located on the two floors below the Villa’s main terrace , these rooms have a surface of about 60sq metres (about 650 sqft). They consists in a night area and a sitting corner, and all have a large terrace. The bathroom and toilet are separate. On request there’s the possibility of adding an extra bed. 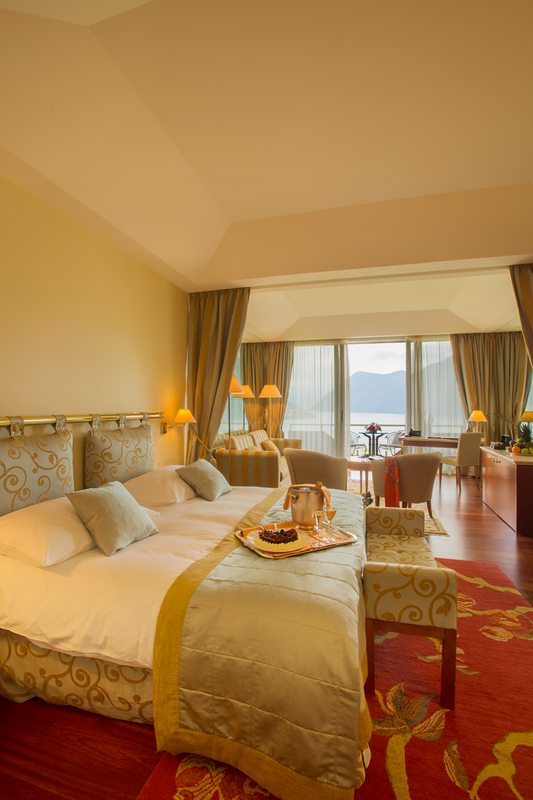 • 2 x Princess Garden Suite: These corner Suites enjoy a fine view of the garden. 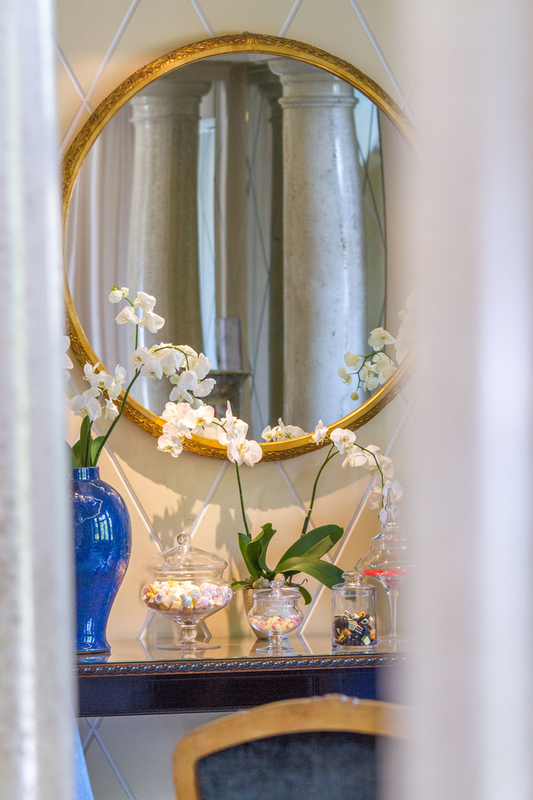 Located on the two floors below the Villa’s main terrace, the Garden Suites have a surface of about 75 sq meters (about 810 sqft) with direct access into the living room, overlooking the garden, from which one passes into the bedroom with terrace, bathroom with Jacuzzi and separate toilet and shower. Upon request, it is possible to have a connecting Deluxe room. 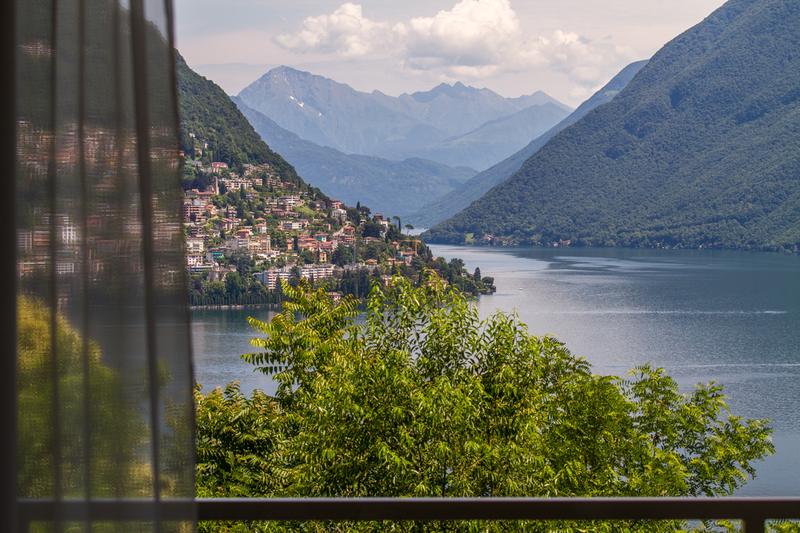 • 2 x Signature Lake Suite: Both spacious and bright, these Suites enjoy a breathtaking view on Lake Lugano. Located on the floor below the main terrace of the Villa, these rooms have a surface of about 130 sq metres (about 1.350 sqft). They consist in a bedroom, connected through the entrance hallway with a living room, terrace overlooking the lake, bathroom with steam shower and two separate toilets (one for the living room and one for the bedroom). Upon request, it is possible to add a third bed. Gastronomic, modern cuisine with classical and Mediterranean influences. 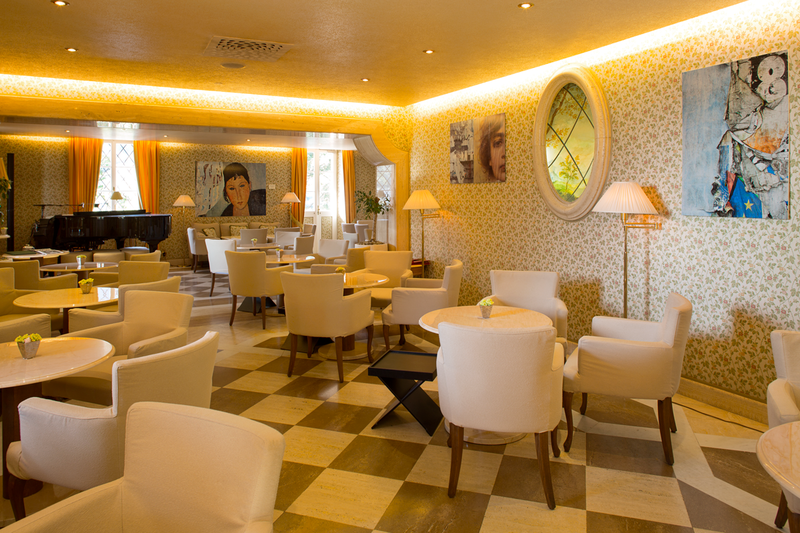 Warm charming atmosphere with live piano bar every night and a bistrot menu. • 2 tennis courts (open air). • 200 guests for conferences. 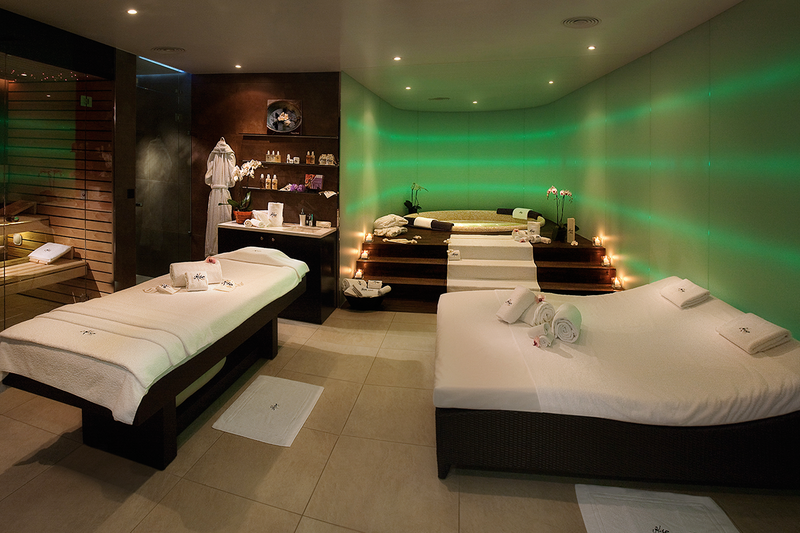 Personal trainer for Pilates, Yoga lesson and Fit Walking in the Hill around the Hotel. 16/20 points of Gault et Millau guide.